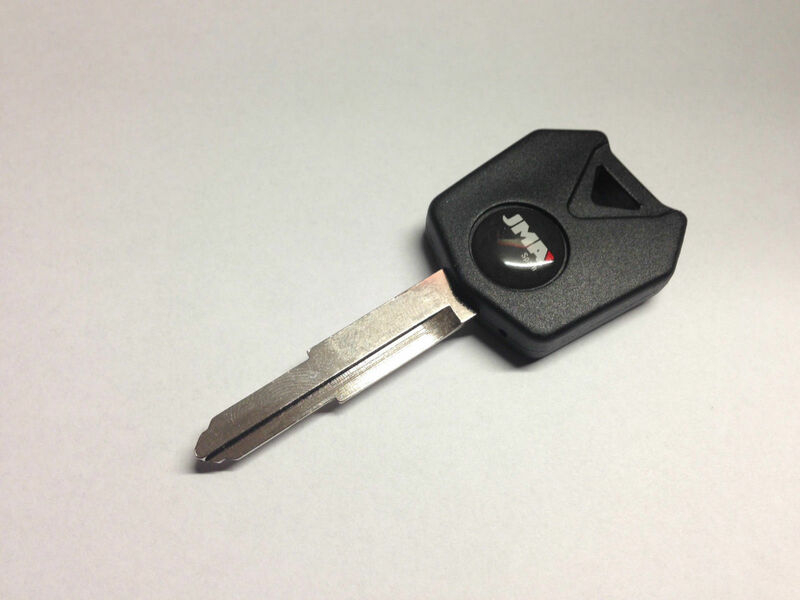 A single Kawsaki Transponder Key Case, key cut either to number, or to a photo supplied by you. This key has space for the transponder chip inside it, so all you need to do is take the chip out of you old, broken or worn key, and put it in the new one. Then you are back up and running without the expense of a new ECU and lockset. Models include: ZX9, ZX10, Ninja.